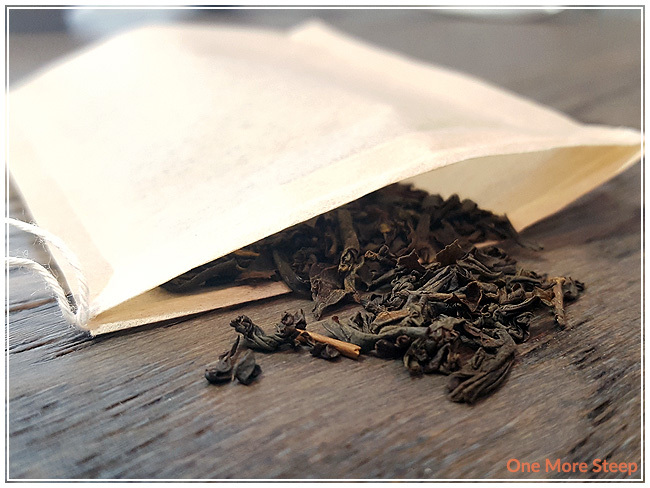 Spice Boutique has provided me with Unbleached Self Fill Tea Bags for the purposes of providing an honest review. I was contacted by Spice Boutique to see if I wanted to try out their Unbleached Self Fill Tea Bags and, of course, I said yes. Spice Boutique offers a range of sizes of bags (one cup, one pot, or extra large) in a variety of materials (either unbleached or bleached paper bags, or bags made out of corn fibre). The ones that I was sent are the unbleached paper variety. What I learned while browsing the Spice Boutique website is that these bags contain zero plastic, are made of an unbleached paper, and have a 100% cotton drawstring. These bags are also 100% biodegradable and can be composted in your own bin (so no heat is required). And if you’re from the UK and looking to shop relatively local, these tea bags are produced in Scotland. I’m always on the lookout for some new tea products to try out, which is why I wanted to give these ones a go. It has a soft feel to the outside, they were easy to fill. The string isn’t knotted, so you do have 2 ends to the drawstring. It does allow for some flexibility in terms of either tying it around the cup handle or teapot handle. The Unbleached Self Fill Tea Bags opened easily and have a wide enough opening to accommodate my largest tea spoon, which was great when I was filling it. I poured a spoonful of loose leaf tea into the bag and then pulled the drawstrings to cinch it tight. Because I was in the process of testing it, I didn’t knot the string around the opening or knot the two ends together. The bags aren’t very large, but they had enough room for the tea leaves to open and expand. I’d imagine that you would run into issues with a more expansive tea – like a blooming/flowering tea or oolong tea. Those would definitely require a bit more space, but for the tea I was using (Earl Grey), there was plenty of space. I didn’t test if the bag would biodegrade. I fill in a city that collects green waste on a weekly basis, so I don’t have my own composting bin. 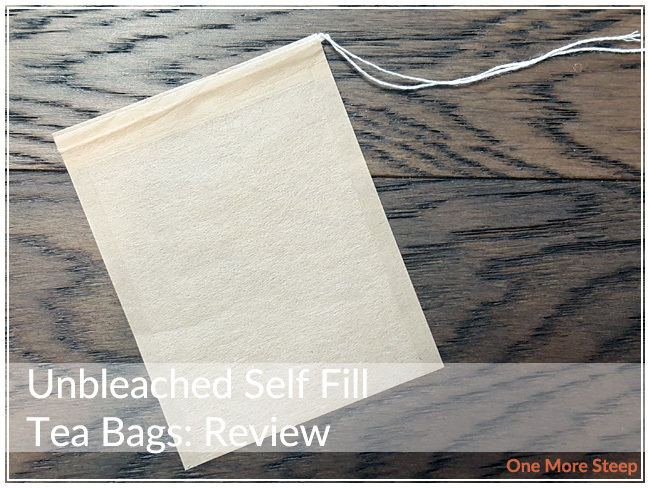 I loved Spice Boutique’s Unbleached Self Fill Tea Bags. Overall, I found that they did a great job. After cinching the bag tight, the string did not loosen and I did not wind up with tea leaves floating in my tea, which is always a nice bonus. I found that the drawstring was a bit damp when I went to pull it out of my tea, but that’s just the moisture of the tea wicking up the bag and string, and it would have done that with any tea bag. 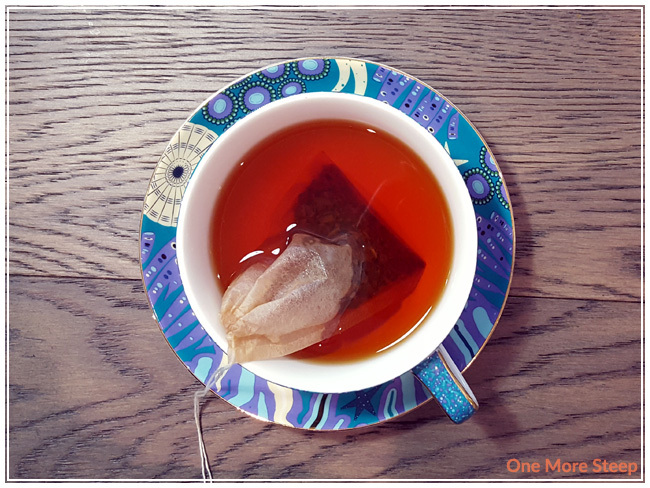 I really like the idea of a fully compostable tea bag – it’s amazing how many tea products out there come in plastic tea bags still!